BME’s delineation resulted in a decreased acreage of regulated wetlands (the yellow line on the map). BME also negotiated a reduction in the mitigation ratio due to a detailed understanding of wetland ecology. 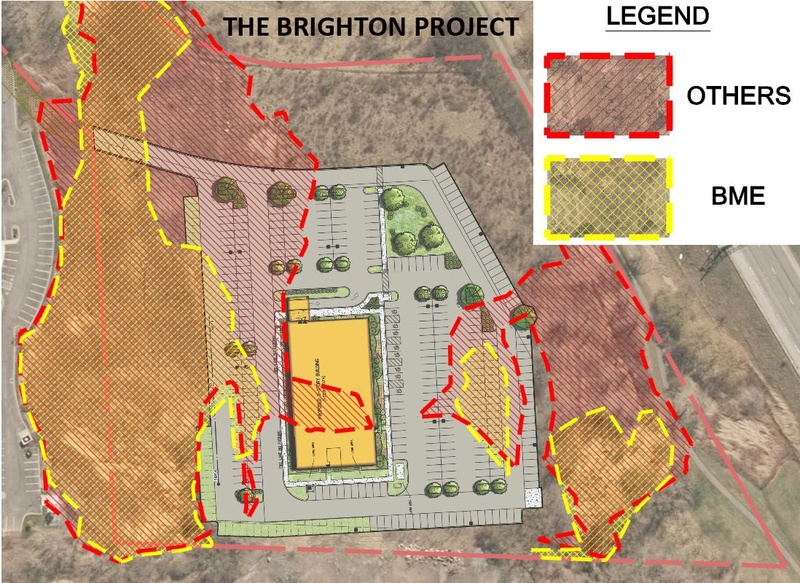 BME’s work resulted in a favorable delineation and permit approval that included a reduced wetland fill area and lower mitigation fee – a savings of $187,600 from what the prior developer would likely have been responsible for. These lowered fees and increased development area enabled the successful completion of a class A office building. Contact the BME wetland experts at (585) 377-7360, or email Martin Janda or Dustin Bradley if you have a parcel with wetlands on it that you wish to develop or sell. Read more about money saving wetland delineations!